It’s the FINAL round of Project Sewn!!! Ahhhhh! If you can please hop HERE to vote! Merci! This round was really tricky for me. I am a HUGE fan of flowers and even floral print, but I have never ever even purchased myself something floral print let alone made something. My mind always does battle with sizes of prints, colors and cuts. So, when I saw that this weeks theme was flower power I sort of panicked. Luckily I had a wonderful friend visiting who calmed me down and reassured me when I finally did make a decision (I wish we could all have a friend like that around all the time!). I decided to base my look on one of my favorite places in France, Monet’s Garden. I am so excited to share my first look from this season’s Project Sewn! If you love it and could click on over to Project Sewn HERE and vote for my look I would be ever so grateful! The prompt was leading ladies you can read more about why I picked Jo from Funny Face over on Project Sewn. I have been really wanting to make the kids all new Jammies as of late. They have such cute ones at the stores here made from gorgeous soft cottons. 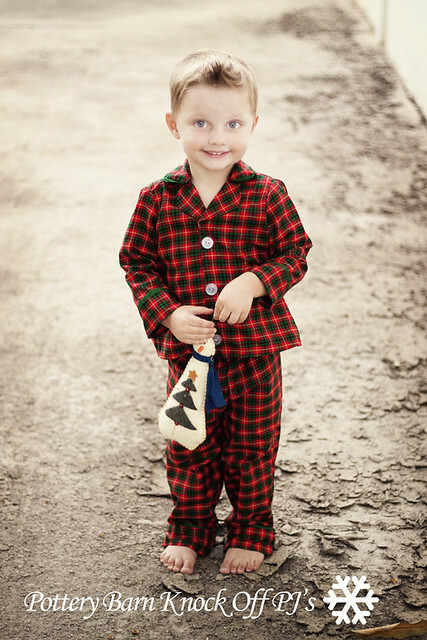 I thought maybe ya’ll might be in the mood for some spring jammies as well so my potterybarn jammies are on sale!